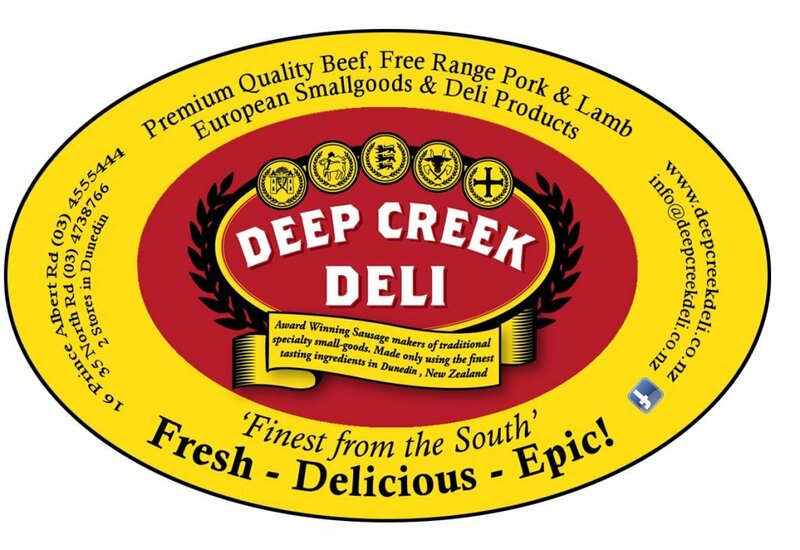 Deep Creek Deli Butchery was founded in 2007 in Wanaka and was part of the farmer market there. 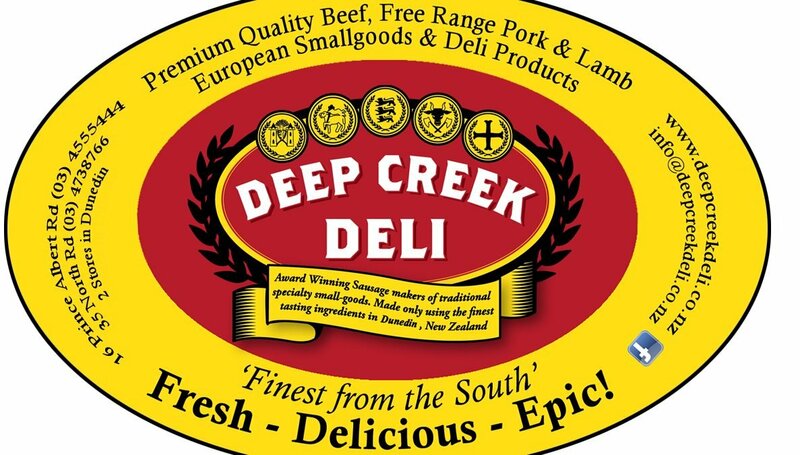 We moved to Dunedin about 5 years ago and took over 2 established butcheries in Dunedin. We are registered with RMP as a dual operator and we are licensed to process homekill / game meat. We specialise in gluten free products and European small goods / salamis and dry cured meats. Our range of fresh gourmet sausages includes Pork, Beef, Lamb, Chicken, Venison which is either free range or organic meat. We have won several prices for our sausages including the supreme award for the pork & fennel sausage. Very popular is our free range pork champagne ham and our variety of bacon ( eye, shoulder , streaky triple smoked and the new flavor : triple smoked alpine blue borage honey bacon .